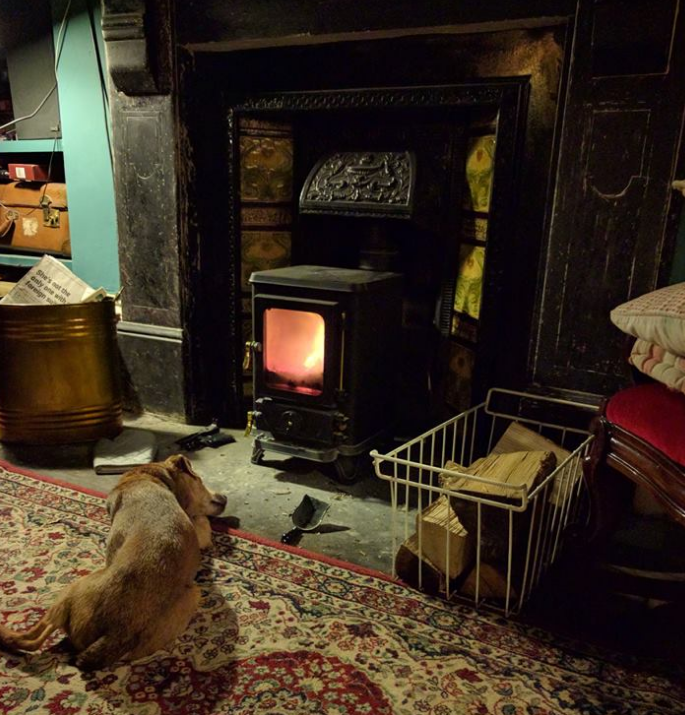 A happy doogie by the fire and a happy customer. “Hi – the stove we bought from you is really starting to come into its own as the weather cools down. Here is a photo showing how much one of our dogs is enjoying it.